Air Tech Industries is dedicated to delivering high quality heating & cooling services at a price you can afford! Repairing or replacing your existing unit doesn't have to break your budget, and you don't have to settle for second-rate services! No matter what your needs may be, Air Tech Industries has a professionally trained and licensed technician to handle the job with expert hands and genuine concern for your comfort. 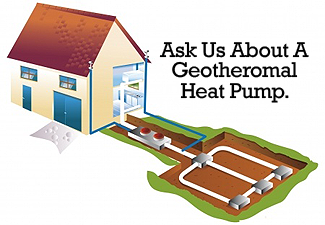 Ask us about NEW Geothermal Heat Pumps. Taking care of your HVAC system is more important than you may think! Furnaces or Air Conditioners that suffer from frequent failures and inefficient performance are typically those that have not been properly maintained by a trained professional. Regular maintenance from a Air Tech Industries certified technician could be just what your HVAC needs to get back on track. Take advantage of these affordable services and protect your HVAC system from unwanted breakdowns and high utility costs all year long..